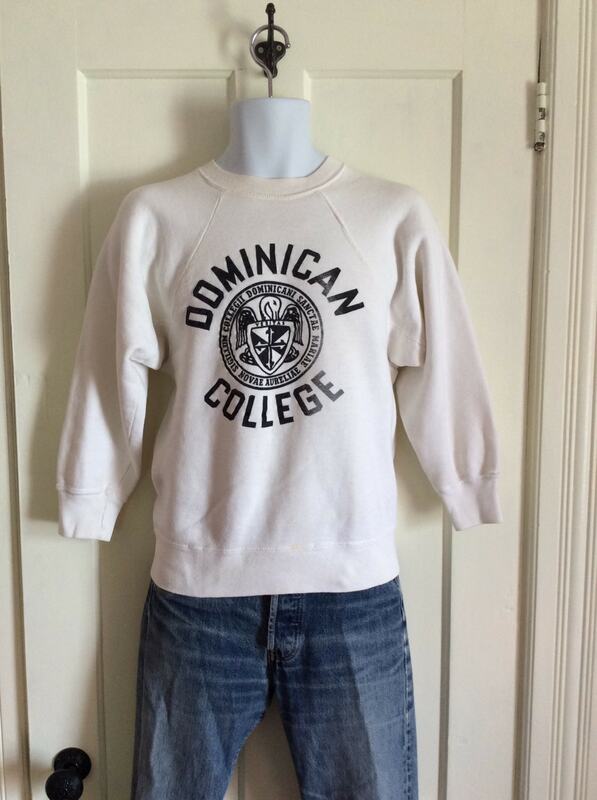 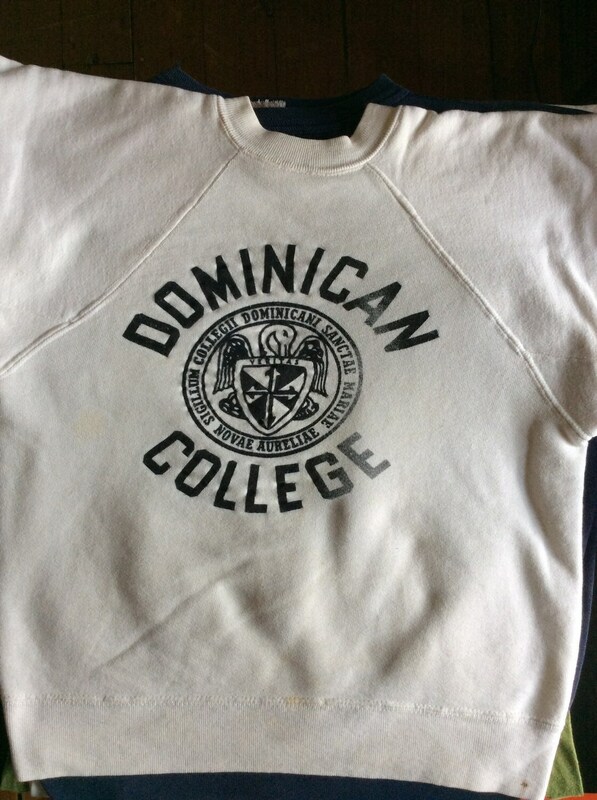 Here's a Dominican College sweatshirt from the 1950's. 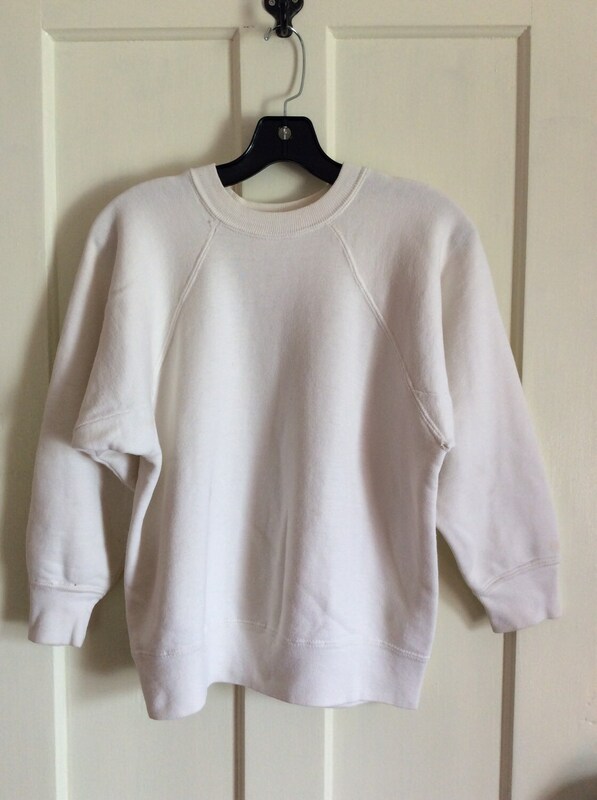 It has some spots on the front and sleeves and a little bit in back. 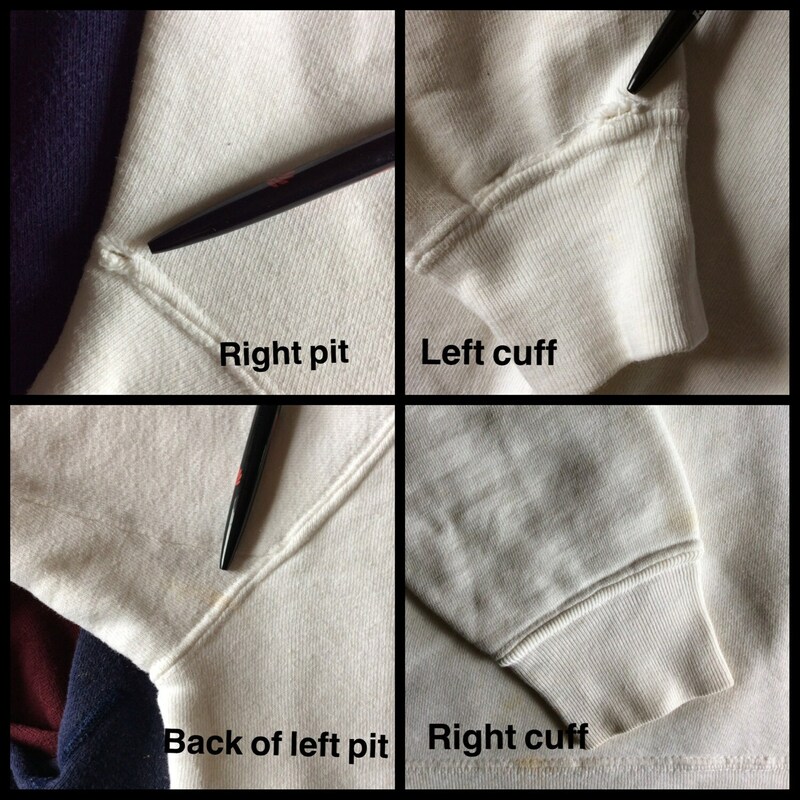 There's a 1/2 inch hole at the left cuff and 1/4 inch hole at the right armpit, see photos. 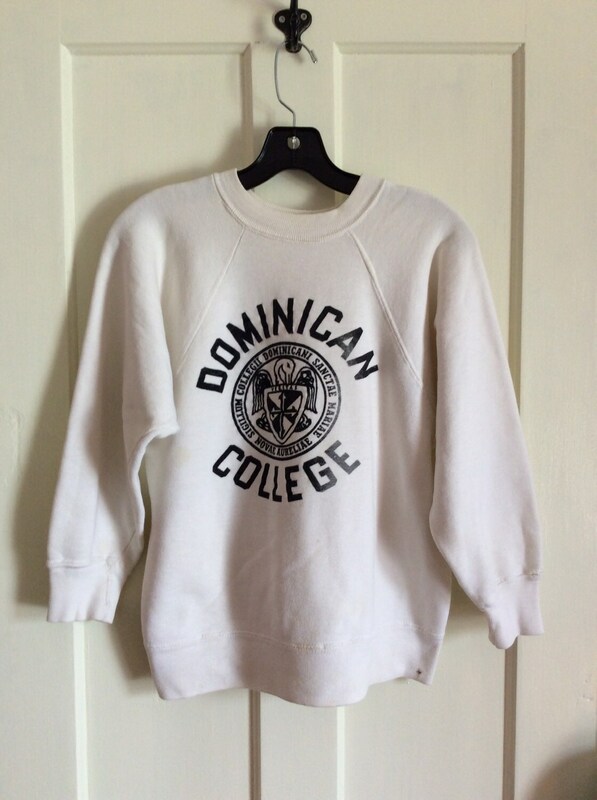 There is no label but it feels 100% cotton.